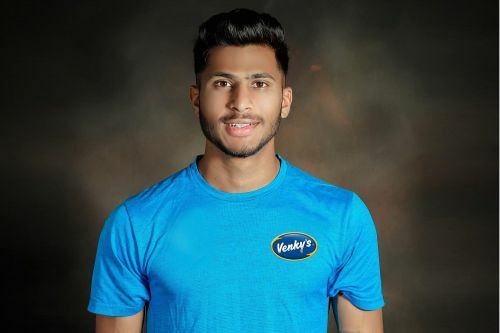 March 5, 2019: Indian Under-17 World Cup star Aniket Jadhav will undergo a training spell at English Championship football club Blackburn Rovers Football Club.‎ Jadhav played in all three matches for India at FIFA Under-17 World Cup, held in his homeland, in October 2017. Blackburn Rovers - one of only six Champions of the Premier League alongside Manchester United, Chelsea, Arsenal, Manchester City and Leicester City - are owned by Venky's London Ltd, a wholly owned subsidiary of Pune-based poultry conglomerate Venkateshwara Hatcheries Group (VH Group). Jadhav will be the first Indian professional player to train in England at Blackburn Rovers' Academy at Brockhall village, Lancashire. Jehan Kothary, of KSMN Sports, who facilitated the training spell, said: “One of our main objectives at KSMN Sports is to assist young Indian football players in their development by providing them with unique training opportunities. We are thankful to the VH Group and Blackburn Rovers FC for giving Aniket this chance."